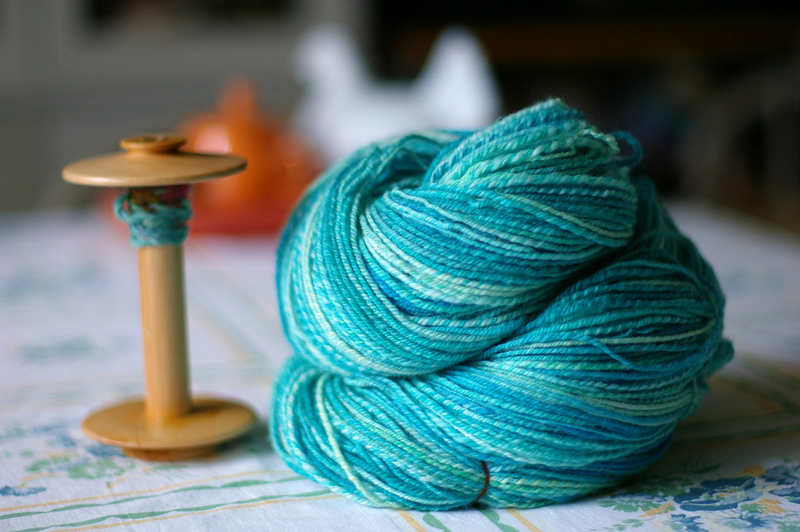 This is Superwash Merino from Crown Mountain Farms in the Blue Suede Shoes colorway. 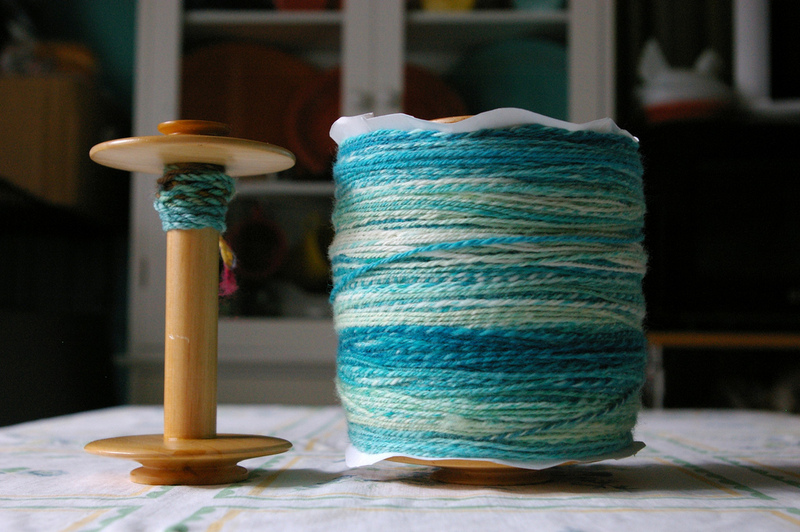 I bought the roving in 2007 (when Teyani was still dying for them) and I had thought I started spinning it then but I was wrong, I started in February 2008. 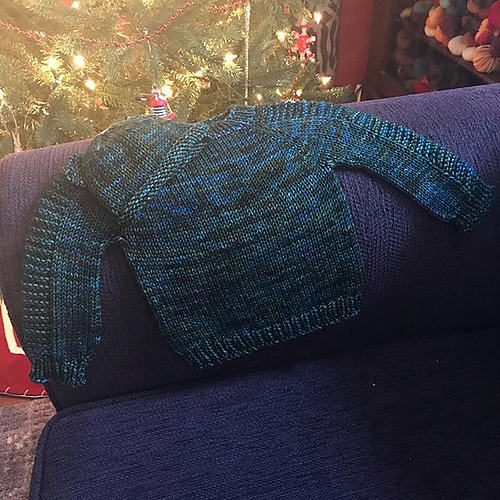 While it isn’t as long on the bobbin as I thought, a year and almost a half is a pretty long time! I had two full Woolie Winder bobbins of singles that I managed to cram onto my Kromski plying head. Almost 8 ounces! 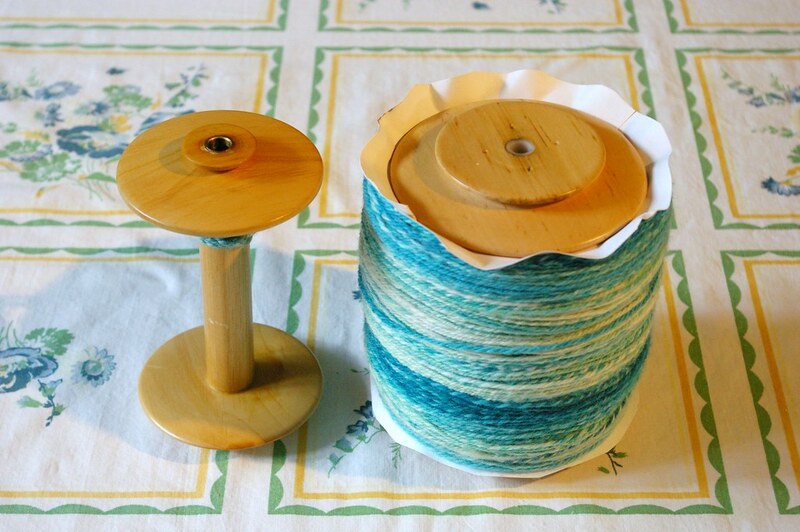 (shown here on the bobbin with a regular size Kromski bobbin for scale). The paper is there to contain the yarn and keep it from going over the edge. 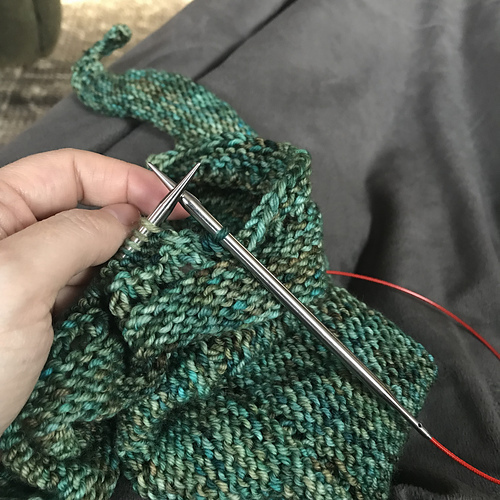 That paper helped me get another 50 yards on that bobbin – that and turning the hooks sideways so they didn’t catch on the plied yarn on the bobbin. Crankypants is very fitting for this time of year – since the tourists have shown up en masse and they’re annoying the hell out of me already. I’ll give you guys a better update on what I’ll be spinning, etc. on Monday. Have a great weekend and if you’re in the US of A, an awesome holiday! Happy Fourth!